Sparqube Status Indicator is a unique tool that can display various visual cues depending on SharePoint list item value or status. Using progress bar, graphic icons and color effects it can help you to keep track of SharePoint list items, such as tasks, projects and items of other SharePoint list types. 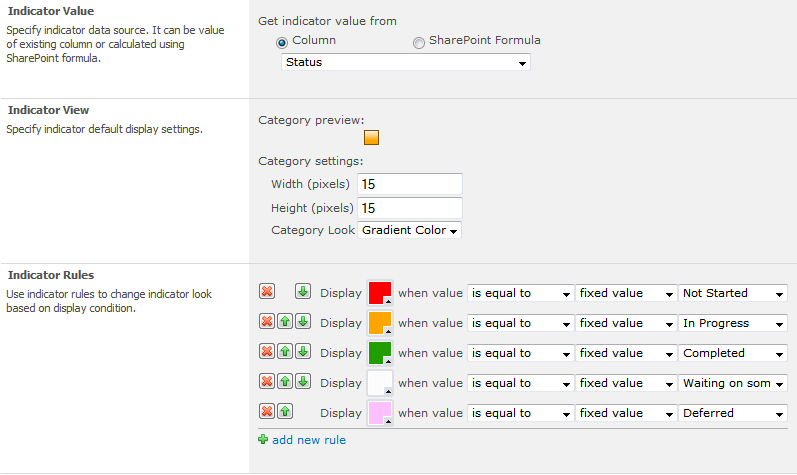 After assigning icons or color category to SharePoint list items, they are easier to identify and organize. This way any key performance indicator (KPI) can be visualized in user-friendly manner.